Northside vs. Southside. It’s the local Melbourne battle as old as the city itself. Separated by only a few kilometers and of course the Yarra River, the difference in the two areas is what makes each their own. But today, we are focusing solely on the slightly more hipster, somewhat dirtier yet equally unique suburbs of the North. Northsiders, there’s no denying you and your ‘burbs’ are something special. Your dedication to wear doc martins in the middle of summer knows no bounds. Unlike your Southside counterparts, you resist activewear, even when being active. Especially when being active. You know that Fitzroy street isn’t in Fitzroy and Brunswick Street isn’t in Brunswick, and you just accept that. You own more identical Dejour jeans than necessary, and probably have a fixie or two locked up out the front of the rundown, overpriced terrace house you live in. 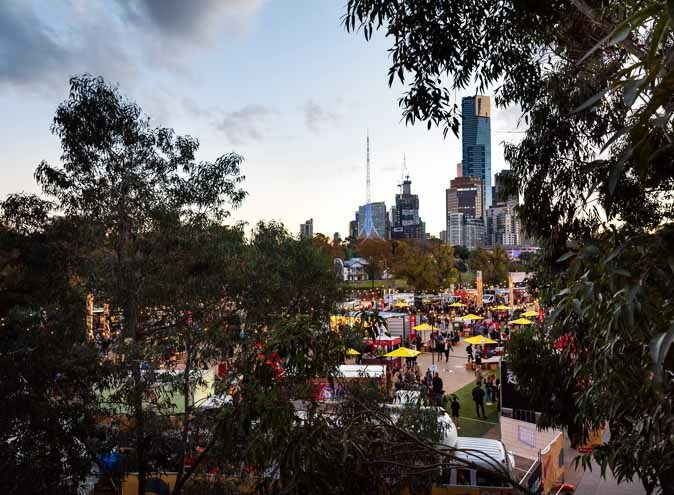 But whether you’re a local, new to the North, or planning on making the great trip from across the Yarra, it’s easy to see that Northside’s nonchalant attitude and welcoming good vibes is what makes it so great. 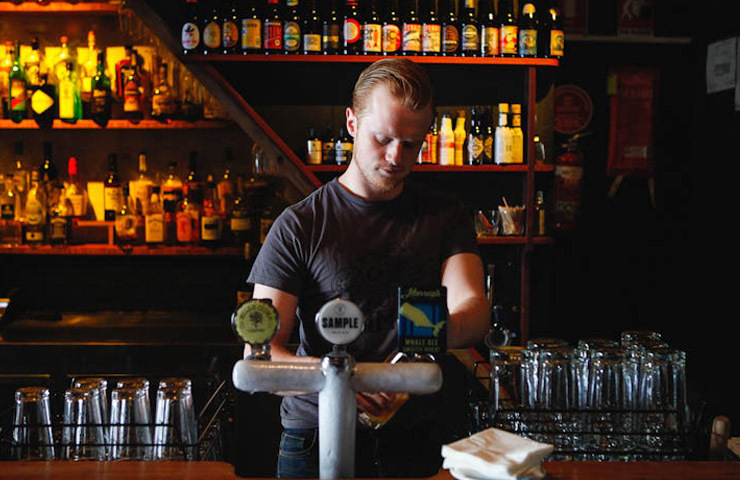 Here are our top pick of some of Northside’s very best watering holes. Nothing pretentious, everything unique. Good times guaranteed. I don’t like to pick favourites, but if I HAD to choose my favourite pub… It would be the Grace Darling. There. I said it. And I’m not alone. What was once the grungy pub you would hurry past to avoid is now one of Northside’s most loved. No frills but no exceptions on quality, it is the perfect place to drink good beer and eat good pub food with good mates. 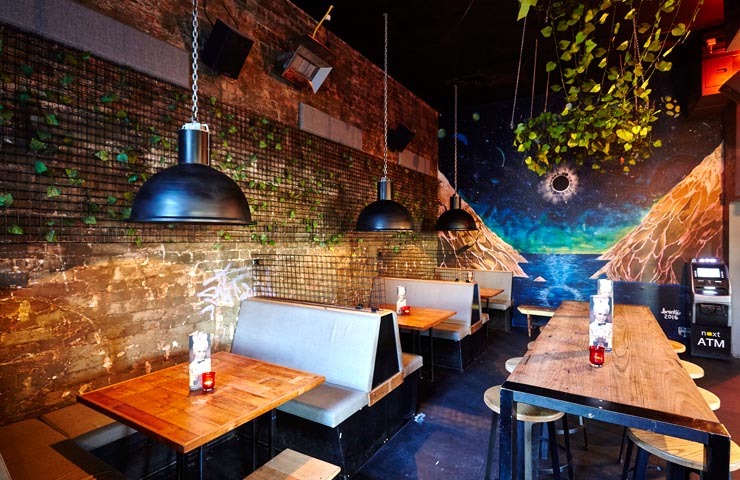 The underground gallery doubles as a function space, there’s a bandroom upstairs, a bistro out the back and long share tables out the front to people watch the many different characters of Smith Street. There is a constant youthful and creative vibe, but the Grace welcomes all ages. 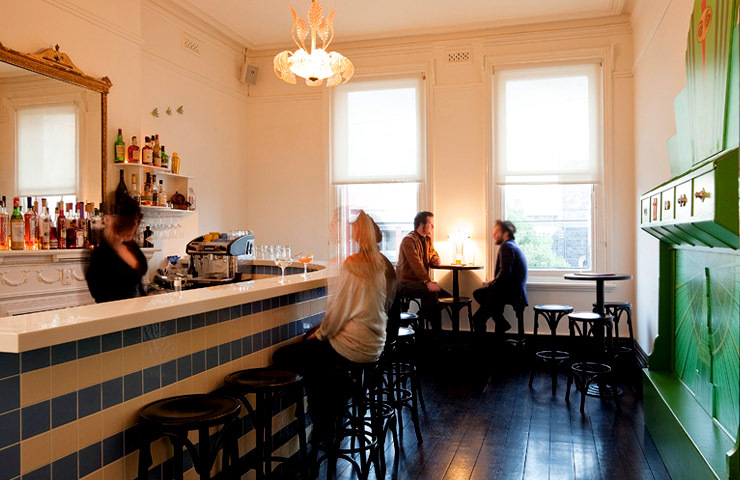 Round up your mates and head to this Collingwood institution. Admittedly, the first time I went to the Evelyn it was by accident. I was actually supposed to be going to the Eveleigh, an equally awesome high-end cocktail bar just up the road on Gertrude Street. However my naivety took me down Brunswick road to the cheap drinks and good music of the Evelyn. Every true Northsider has had an epic afternoon drinking at the Ev. 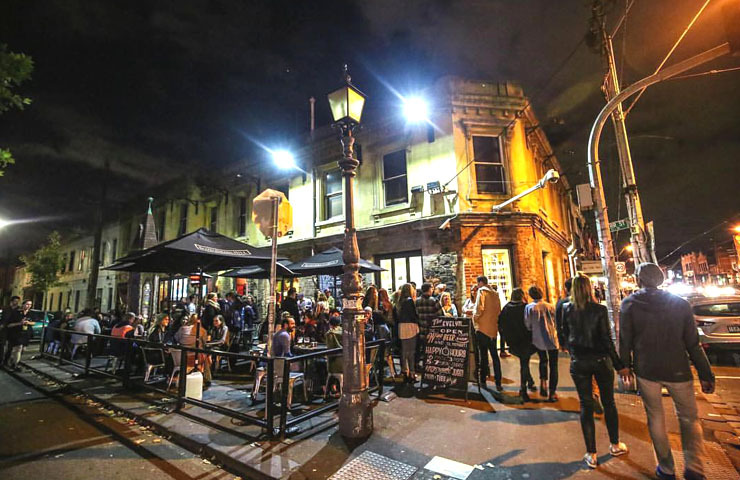 Whether it was seeing a band playing any night of the week, sharing a bottle of wine purchased from the adjoining bottleshop and exchanging stories with strangers outside on the pavement, there’s always good vibes at the Evelyn. Right on the edge of Coburg amongst the kebab shops lies the Woodlands Hotel. Originally built in the 1850’s, the Woodlands we know and love today has been operating since 2011, when owner Hayden George decided to give the 160 year old pub a fresh face, creating a new dining and drinking experience. Choose from the many different types of bottled Victorian craft beer on offer and take a seat in the beer garden, or try some of the mouth-watering food amongst the giant nutcracker soldiers in the eclectic upstairs dining room. Ahhh, the Gaso. You’ll go for a casual pint of Stone and Wood and then before you know it you’re dancing under the stars to your new favourite DJ. When the retractable roof turns the 350-patron band room into an open-air oasis, it’s hard to resist a boogie. The menu, with several vegan options, is some of the best pub food you’ll find Northside at regular pub prices. 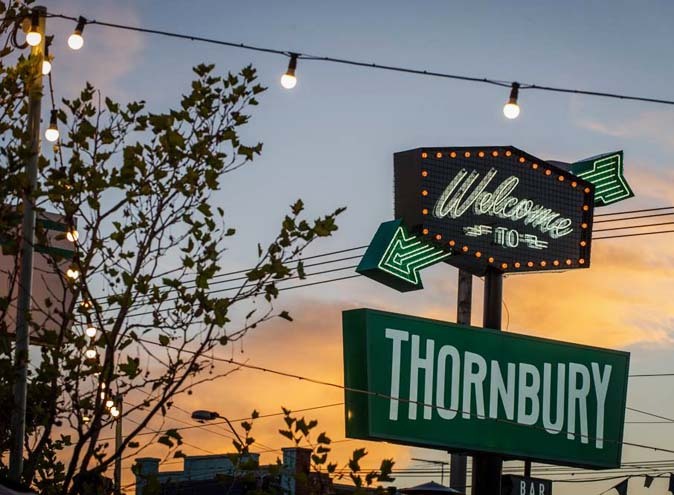 Whether you’re having a drink in the bar, a meal in the restaurant or seeing a gig in the bandroom, you’ll be feeling the good vibes that fill this non-pretentious Collingwood local. Hard to find, easy to love. Established in 1869, the Standard is a classic example of one of the many charming pubs that encapsulates the relaxed attitude and informal atmosphere of the north. The rather grim in appearance from the back streets of Fitzroy makes the Standard pretty easy to miss. But don’t judge a book by its cover. 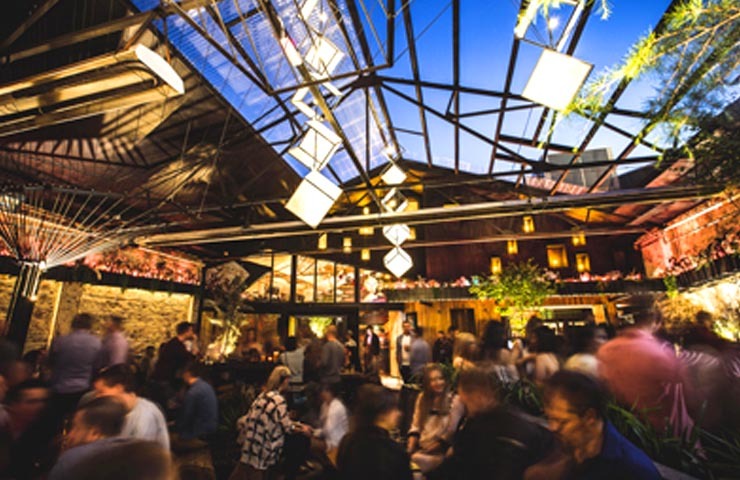 The leafy beer garden out the back is one of the biggest in Melbourne, making it the perfect place to meet friends and settle in for a few pints. The pub meals come in huge servings, there’s live entertainment on weekends, and always a good energy. 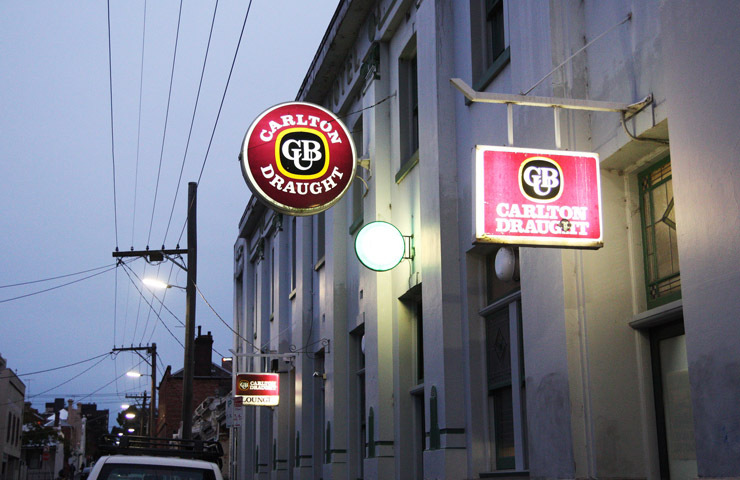 The Rooks Return is the chosen local watering hole of many Melburnians. The welcoming bar staff immediately make you feel at home, and the changing local art on display and knick-knacks scattered throughout give the small speakeasy a lounge-room vibe. There’s local DJ’s, acoustic singers or their every own talented jazz ensemble, the Rookies. The boys behind the bar know how to make a mean cocktail but will be just as happy serving you up a pickleback. Rook’s is the local you can always count on; there’s boardgames to play, long share tables out the back to sit with your mates, cosy corners if you’re after something a little more private, and it’s open late making it perfect for a nightcap. Free pool, a huge range of boutique beers on tap, changing art exhibitions, friendly bartenders. Need I say more? Well considering I gave you next to no information I probably should, yes. Taking the 86 tram to the end of the line will bring you to the laidback venue that is Raccoon Club. One of the best bars in the ‘burbs, Raccoon Club is the locals favourite. The ‘no dickheads’ policy ensures a consistently relaxed and comfortable atmosphere in the converted warehouse. If the David Bowie shrine proudly placed on the centre of the main bar doesn’t make you fall in love with his humble venue, the huge range of records to spin yourself on the deluxe turntable will. While dogs are welcome, Raccoon Club insists that bars are not suitable venues for children, with a strict no-one under 18 policy meaning you won’t run risk of being amongst crying kids. With next to no signage, it can be pretty easy to miss. Enter through the blue doors on High Street to discover the converted warehouse bar and eatery that is Trumpy. 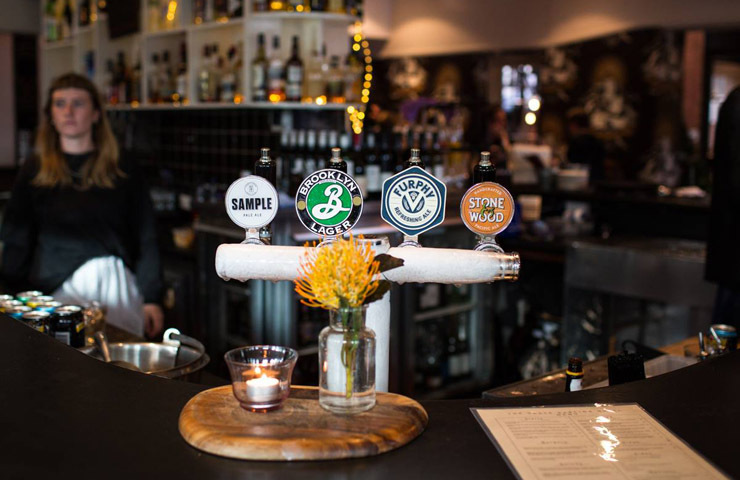 One of the many new venues that is making Thornbury worth the trip, Trumpy is a sophisticated bar that remains inviting, with Northsides signature unpretentious feel. Fun yet knowledgeable and attentive staff will go out of their way to make your experience enjoyable. Despite the high ceilings, exposed beams and brick walls, Trumpy is a warm and welcoming space, just as ideal for Tinder dates as it is for casual drinks with friends. 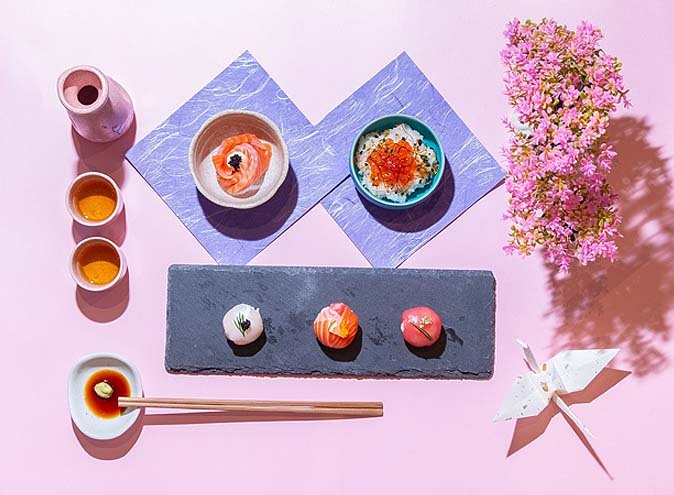 The menu is designed to share, again reinforcing the casual vibe, and every single dish is packed with flavour. The 3am license, rare for so far North, means Trumpy is open late. Impossible to be grumpy at Trumpy. A homage to the legend that is George Costanza, George’s Bar is small but mighty. There’s regular Seinfield trivia nights, DJ’s on Friday’s and Saturday’s to bust your best Elaine dance moves to, and $5 toasties all day erryday. But George’s is much more than just the novelty of it’s theme. The bartenders have talent and the atmosphere is always casual but fun. Next time you’re in Fitzroy be sure to ‘be more like George’. Venture just a little way off Sydney Road and look for the giant zebra painted on the wall, proudly marking the entrance to Howler. 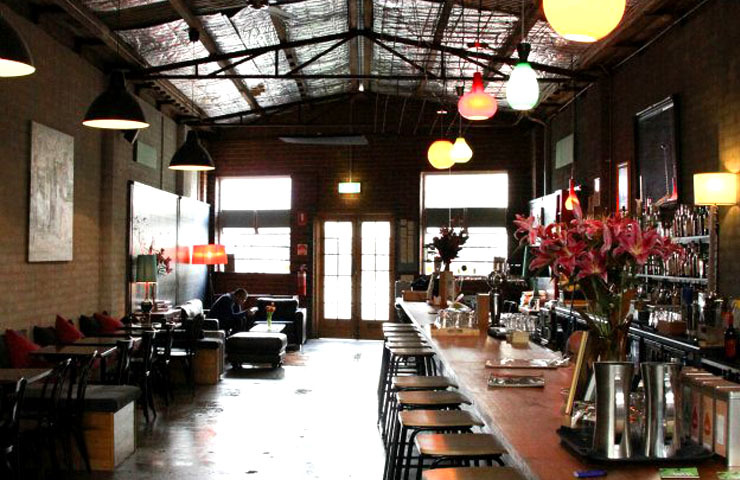 Not just another converted warehouse in Brunswick, Howler is a multifunctional arts hub, bar and live music venue. 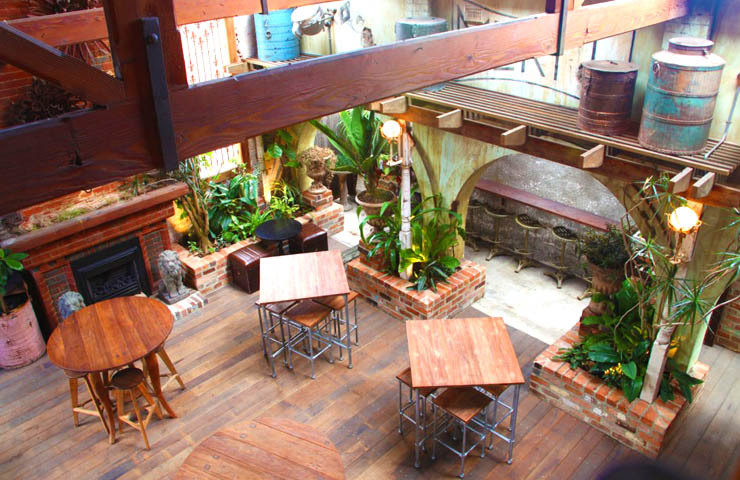 The massive garden bar is filled with greenery that extends in to the bar with potted trees and hanging plants inside. Head in on a Friday between 4 and 6pm to enjoy a free slider (!!!) as you work your way through the impressive beer list. ‘Purveyors of fine drinks, good times and bocce.’ Mr Wow’s motto basically sums up everything you need to know about the Collingwood hangout. A short but sweet cocktail list put together by some of our city’s best bartenders calls for good times had by all in this inclusive space where all are welcome. Oh, there is also an indoor bocce pitch. B-O-C-C-E! Finally a chance to showcase all you learned from watching Crackerjack. If you’re still not convinced, there are regular DJ’s playing, a pool table and popcorn with your choice of salt, all free of charge. The huge map of Melbourne’s North covers an entire wall, reinforcing and encouraging the pride customers have in their side of the river. However be warned, Mr Wow happens to have an enviable moustache that could give Northsider’s a run for their money. 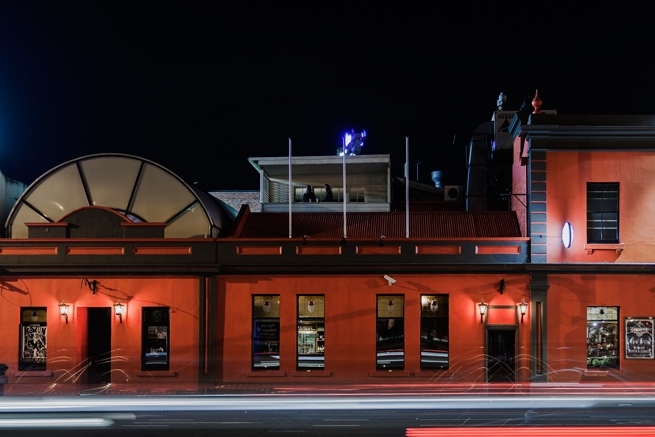 Discreetly located on top on Brunswick’s legendary pub the Retreat is the ever elegant cocktail bar Amelia Shaw. Amelia Shaw pays homage to history, named after the Retreats first 1842 female licensee. Despite being just that little bit more fancy than what you expect to find on Sydney road, Amelia Shaw maintains Northside’s trademark nonchalance. This hidden gem is full of character with it’s mid-century retro fit out. From the hand painted geometric murals to the 1960’s Japanese hotel lobby light fixtures, Amelia oozes elegance. She knows how to impress, and even has a circular pool table to entertain guests. There’s a vast selection of top shelf whiskeys, local beers, classic cocktails, and quality handpicked wines. Before you leave, check out the peep show on the back wall of the main bar. Oh Amelia, don’t make us blush. 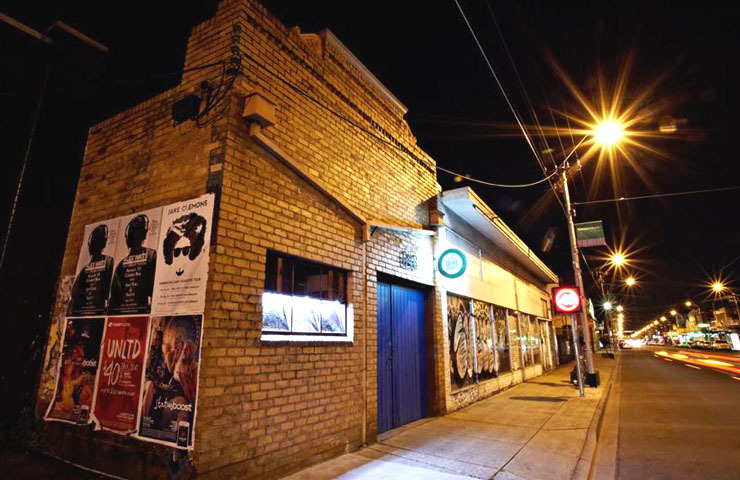 In late 2015, Fitzroy welcomed with open arms it’s new party destination, Glamorama. Open until 3am on Wednesdays, Thursdays and Sundays, and 5am on Fridays and Saturdays, Glamorama brough a much needed late-night dance floor to Brunswick street. But Glam is not your usual club. 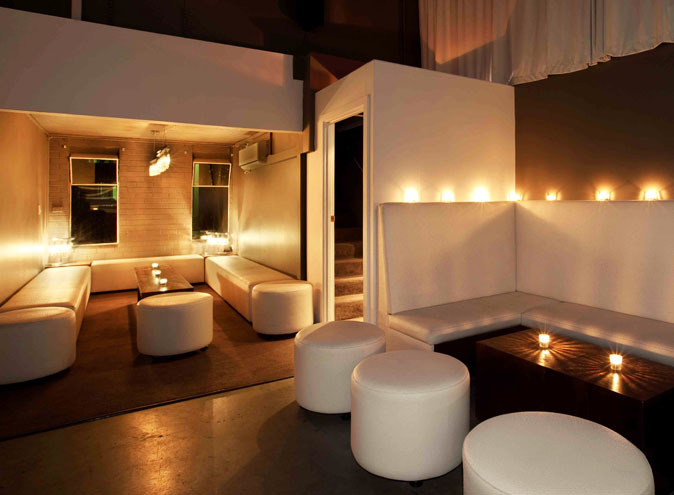 There’s private booths, a beer garden, and a state-of-the-art sound a system blasting disco, house and techno. 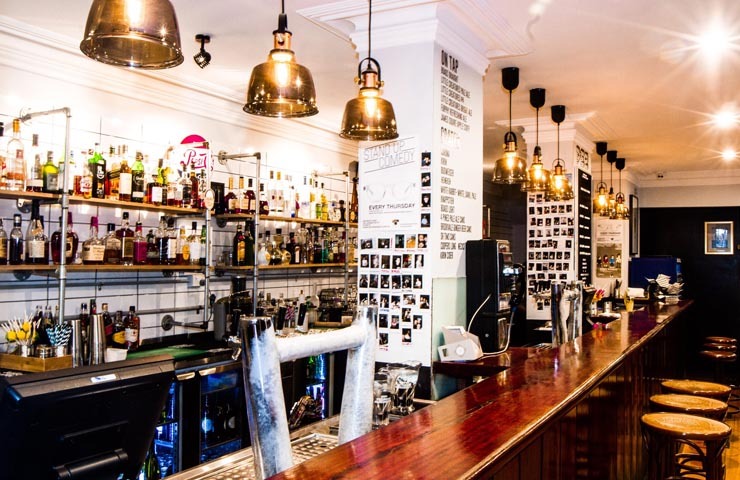 The extensive drinks list has a focus on Australian whiskeys, and the modern Australian menu from the Spare Me kitchen, served until 11pm, boasts high quality comfort food. 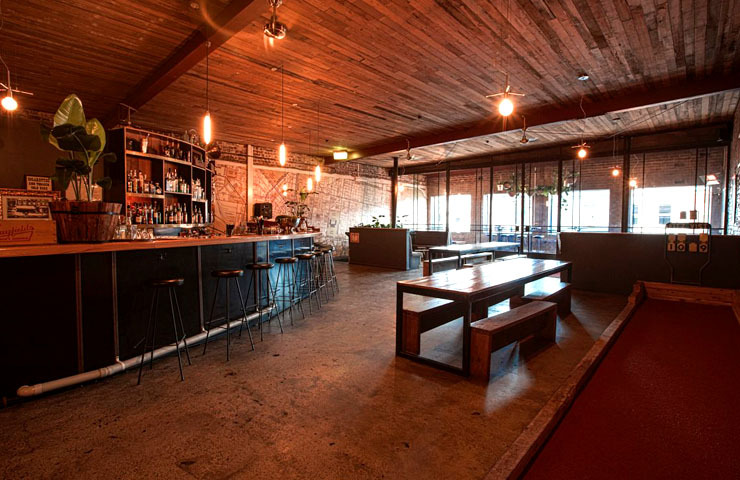 It’s an inclusive space with consistently great energy, a happy crowd, and the cool Fitzroy vibe you know and love.